John Saul was born in Lismore County, Ireland, December 25, 1819. 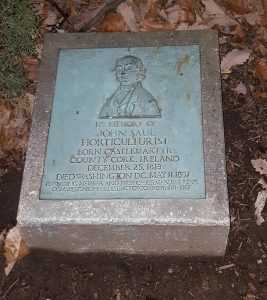 He was educated in landscape gardening, and managed large nurseries on the Isle of Wight and then in Bristol, England before moving to Washington, D.C. In 1851 h e came to Washington and was hired by the Federal government to lay out Smithsonian and Lafayette Parks, as well as several other areas and squares in Washington City. In 1871 during a time of growth and improvements in Washington, Governor A. R. “Boss” Shepard appointed a commission, also referred to as the parking commission to plant trees in the city. The first commission, whose members served without pay, included William R. Smith, superintendent of the Botanical Gardens; William Saunders, superintendent of Agricultural grounds, and John Saul, who owned a nursery in the Brightwood neighborhood, and Trueman Lanham who served as chief executive officer of the commission. 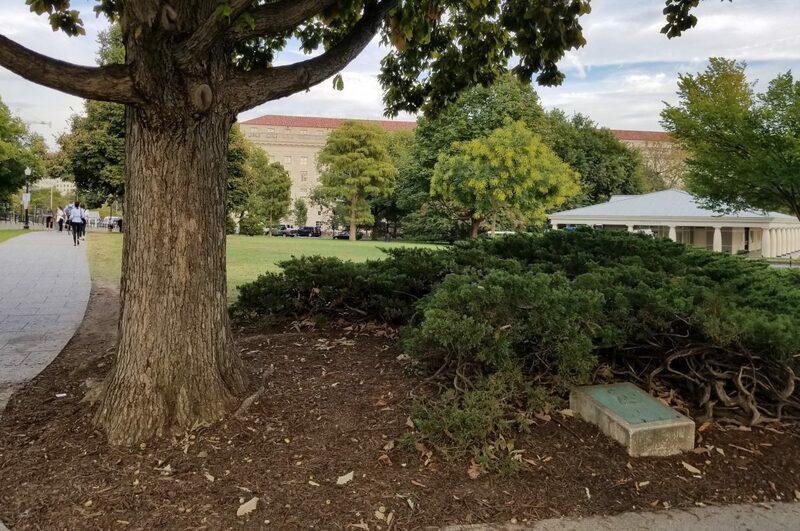 Saul, as part of the parking commission, introduced planting plans that increased the number of trees throughout the city. The commission initially planted quick growing soft maples that were interspersed with hard woods that would add longevity to the plantings. 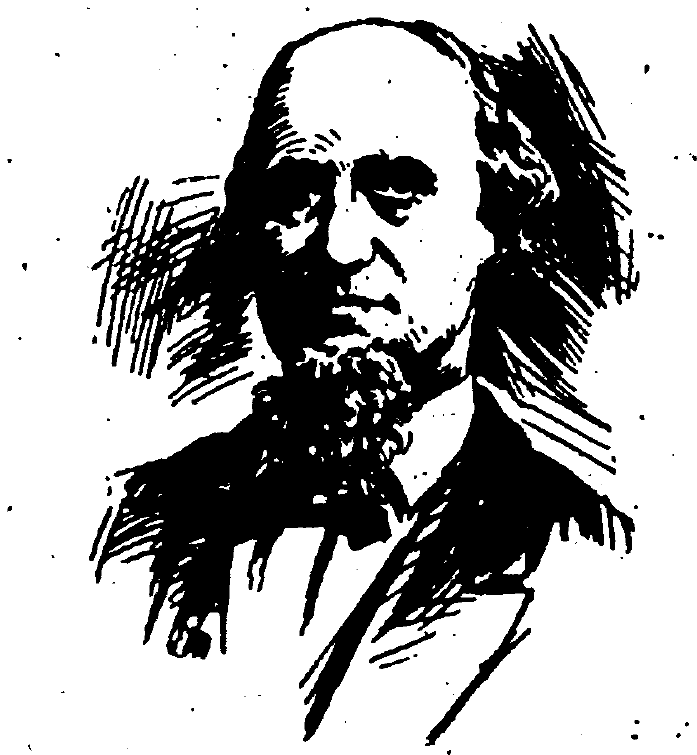 John Saul was a member of the Horticultural Society of Washington and served as it’s president for many years. Saul was a member of St. Patrick’s Church, the Carroll Institute, the American Pomological Society. And he also was hired by W.W. Corcoran to work at Harewood Park. Saul owned a large estate in Brightwood where he lived in an 11-room house and ran a nursery on the property. John Saul died on May 11, 1897 in his home in Brightwood. His memorial service was held at St. Patrick’s and he is buried at Mount Olivet Cemetery.